What is class of admission on Form I-130? Class of Admission on Form I-130 (Part 2, Item 40.a.) describes the visa category that was used to admit an immigrant into the U.S. as a permanent resident or conditional permanent resident. 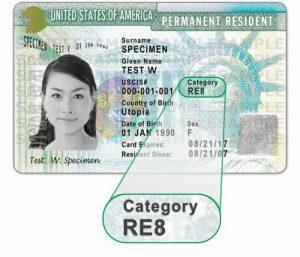 You can find the Class of Admission code on the front side of newer green cards under “Category.” The code is typically one or two letters followed by a number, (e.g., IR2). 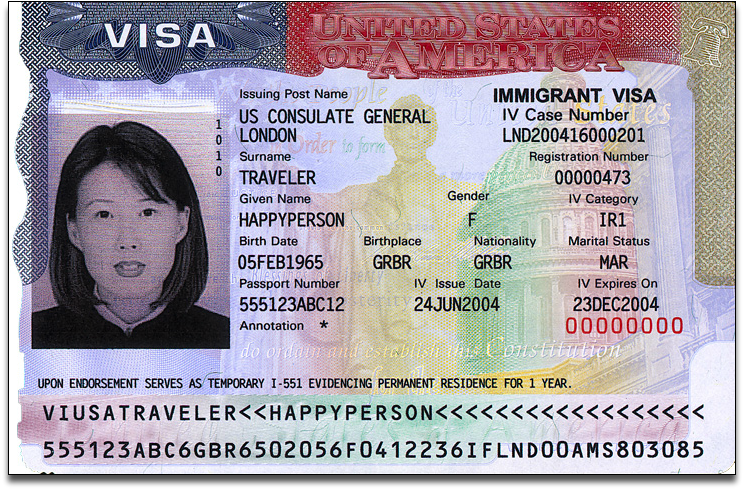 For example, RE8 is the Class of Admission for the green card holder shown in the image below. The code’s location on the green card has changed over time. It could be located on the backside of older cards. For examples of more types of green cards, use CitizenPath to prepare your Form I-130. Note: If you were admitted to the United States as a conditional resident, your initial code began with a “C.” For example, the spouse of a U.S. citizen may enter the U.S. with “CR1” or “CR6” on the immigrant visa. This code gets updated once the conditional resident has remove conditions on residence. Individuals who adjusted status to permanent resident while already in the United States may be able to find Class of Admission on the I-485 approval notice. Note: Adjustment of status applicants should not confuse their initial nonimmigrant status (e.g. B1/B2, F-1, H1B, etc.) with the immigrant category under which they became permanent residents.